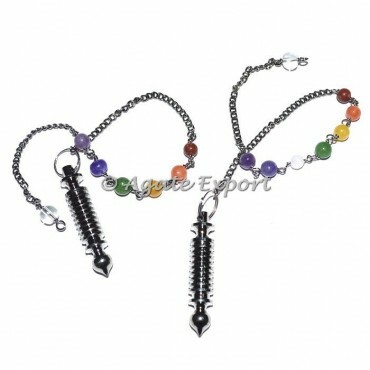 Here is the exclusive collection of Chakra Chain with Big Isis Black Metal Pendulums at affordable price. It is available in Wide range and also in highly polished quality. Chakra with black metal is gives the best Healing. Place the order only at Agate export.